Appease your inner cookie monster. One of the fastest-growing money raising ideas, cookie dough fundraising has become increasingly popular over the last several years. One reason may be because of the convenience of having cookies on hand whenever your customers want them, without having to make them from scratch. Plus, a tub of cookie dough can be easily stored for later use. This is especially true with the pre-portioned variety. Also, cookie dough fundraisers can be used as a nice add-on to other money-raising events and activities, particularly those where there will be a large gathering of adults who have kids; classic school events such as ball games, pep rallies, musicals, plays, and even picnics and parties at companies where parents work. There are lots of places and occasions to raise money with these gourmet treats. It’s certainly not surprising since everyone loves cookies and, really, who can resist them? They’re a favorite with kids and their parents and a proven winner with customers. And if your potential donors understand the value of the cause they’re supporting, you shouldn’t have much difficulty selling them. There are lots of different flavors to satisfy anyone’s desire. It’s really important to tell potential donors the specific reason for your frozen cookie dough fundraiser. 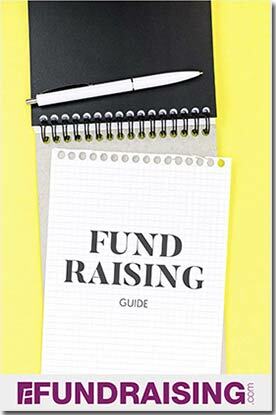 Example: “Our group is raising money to finance our trip to the annual soccer tournament.” This will help influence their decision to buy from you. As long as you can buy the cookie dough at a low enough price that you can sell it for a reasonable profit and, at the same time, not gouge your customers, then it makes sense. One of the advantages of buying fundraiser cookie dough is that your customers can thaw the dough and use only what they want and refreeze the tub whenever they want more. They can usually do this as many as five times without any loss in quality. Of course, this is less of a concern with the preportioned kind since you only remove what you need at the time. So your supporters just pop them in the oven for delicious cookies any time. Fundraising.com – one of the largest cookie dough fundraising companies, they offer pre-portioned and tubs of cookie dough in a variety of flavors, including M&M’s®, Walnut Chocolate Chunk, White Chocolate Macadamia Nut, Snickerdoodle, Chocolate Chunk, Oatmeal Raisin, Sugar, Peanut Butter, Triple Chocolate and Jumbles. Free information kit, free prize program and free shipping! 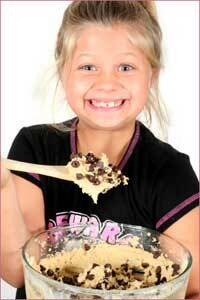 Call toll free 1-866-216-2080 and get more cookie dough fundraising ideas to boost your earnings. As a member of the PTO at my son’s private Catholic school in north Georgia, I was very satisfied with the success of our cookie dough fund raiser. The entire elementary school participated in order to raise money for our school’s art program. We worked in conjunction with a company who specializes in school fund raisers that received a percentage of our profits. The company sent a representative to the school to explain the fund raiser to the students. He was very engaging and helped explain to the students the prizes they could receive for participating in the fund raiser. He also brought handouts for the students to bring home to their parents. We were able to exceed our goal I believe in large part because of the enthusiasm the company’s representative instilled in the students. I also firmly believe that selling perishable items is the key to greater sales. People are more willing to buy food items because they are sure that they will be used. Our school has sold fruit for a similar fund raiser and found it to be about equally successful. We will be using cookie dough again as we believe it has greater potential than fruit we are confident that we can duplicate the success we had last year. My son’s school had a fund raiser to help support their end-of-the-year class trip. They had contests through out the time period of the fund raiser. Who ever sold the most items over the first three days won a prize. If they sold a certain allotment within the first week, they got to go on a limo ride to lunch. If they sold above the allotment, they got to invite a friend to join the limo/lunch. If they sold pre-determined quantities, the seller would receive a dollar per unit sold. Above the highest pre-determined quantity, and the seller would double his reward. My son visited all the local family members, solicited the neighborhood, and my husband and I took brochures to work with us. Every morning during the school’s morning announcements, updates about quantities sold and by whom, were given over the intercoms. The kids liked hearing their names and cheered others on. The day to pick up supplies, the children were involved in the sorting and loading of the product. The kids had fun seeing who’s stack of boxes were the highest. They would all line up to offer their services to carry the boxes to parents cars. The school did a wonderful job on creating and maintaining the students enthusiasm for this fundraiser. I had to sell cookie dough for a fundraiser for my community association- we were planning on buying trees to plant a windbreak around the building, and it was going to be fairly expensive as we wanted to buy trees that were at least a few years old. Fortunately we chose to do it in the fall- my main way of marketing was to send around an email to everyone in my mailbox being very low-key about buying, suggested that they could buy a pail to keep in the freezer in case they had guests over for the holidays, or small kids around, or to my friends that had little kids that it would be quick and easy for them to hand to the kids to do with no preparation work or mess to make. That really seemed to work well- I raised over five hundred dollars. My tip is to market the item so the person will find it useful- making them see how it will help YOU out isn’t going to make them want to spend their money, you want them to see why it is a great deal for the customer. Next time… I’m thinking of going door-to-door in the community with photos or something of what we would like to do and emphasizing that it is for everyone to enjoy. That should get things rolling!